I’ve been trying to figure out how I’m going to write this post. I don’t have much information, but I do have some with pictures. 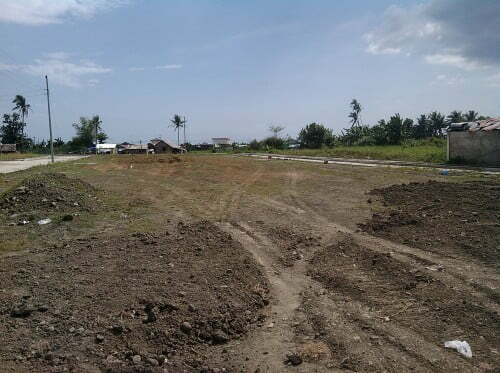 Recently a couple of people have asked me about property here in Calbayog. So I decided I need to get out and get a few pictures and whatever price information I could get a hold of. Marlou was kind enough to show me some property that he knew about because he and his siblings were just looking at a few properties and they actually put a down payment down on one. I thought there would be phone numbers of something for me to call, or rather have one of the relatives call, but there were not signs. It’s a good thing I did have Marlou with me because he remembered the prices and square footage from their search. In a couple of the pictures you will see my thumb in the corner. It was really bright outside and I just basically pointed and clicked. I’m just glad the photos came out decent, so the thumb is no big deal. 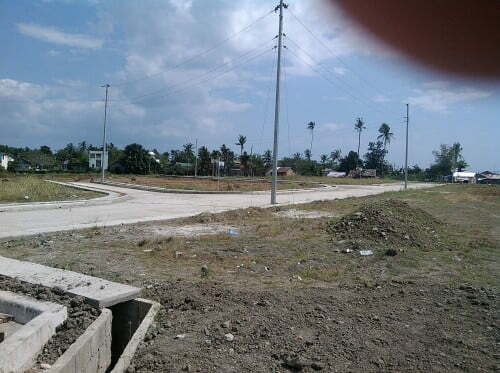 Okay these first 2 pictures are from only 1 or 2 minutes outside of Calbayog Proper, riding a motor trike. It’s on the road that goes to the new market. Here is the situation with these properties first. As of right now they are all reserved with a P20K reservation fee. However, a P90K down payment is due on each and if that is not paid then the sections will be available again. Each available section was/is 120 sqm and if the whole section was paid in cash it would have come out to just less than P500K. The corner there has a road sign that says Road 2 and Road 4. Road 2 being the long road and Road 4 the one going off to the left. Obviously temporary road names. This property is right next to the main road. This next picture is some property right across the street from the first property. It is own by the same person and is in the same situation as the first one, meaning it also is reserved and cost P500K per section, but could be available again if the P90K down payment is not met. 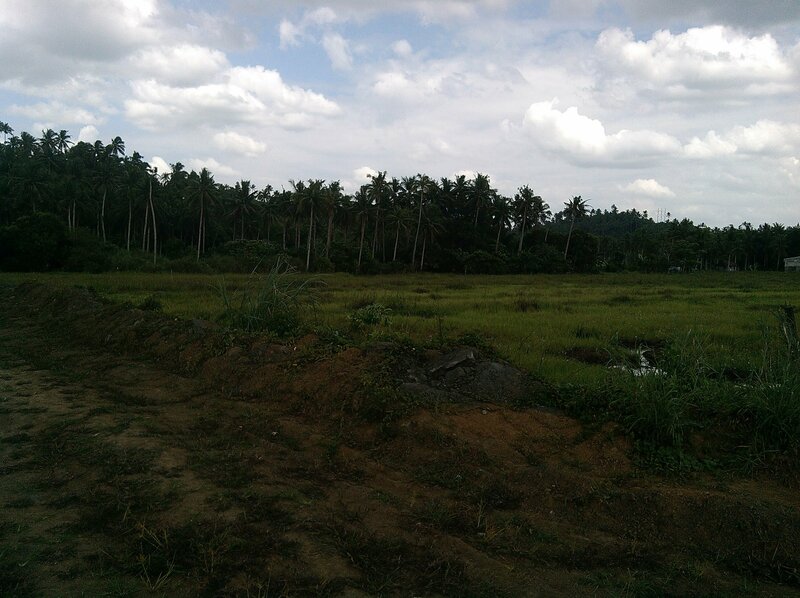 Okay these last 3 pictures are ‘mostly’ land that is still for sale. It is located further down the same road and is almost directly across the street from the new market. It’s slightly further down than the new market is, but not by much. These properties are just another few minutes further down than the first properties, maybe about 3 more minutes on the motor trike. This first one is to the right. Actually the furthest section on this lot is the one that my nephew and nieces put a down payment on. Down by the last coconut tree. I believe Marlou said that there are at least 4 different lots here that were for sale, now only 3. 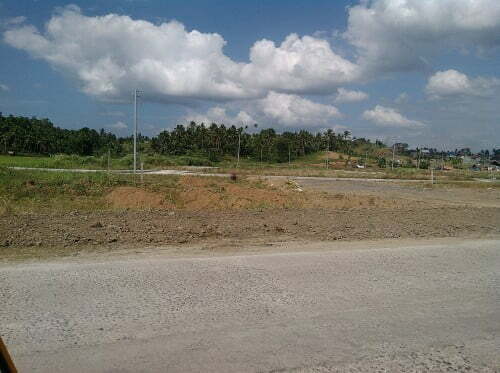 If these lots are purchased in cash, they are P240K. 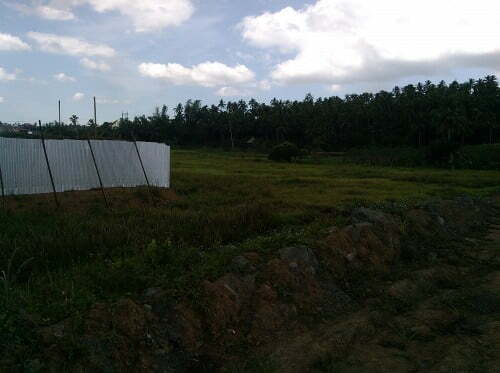 They are also 120 sqm and price per square meter is P2000. 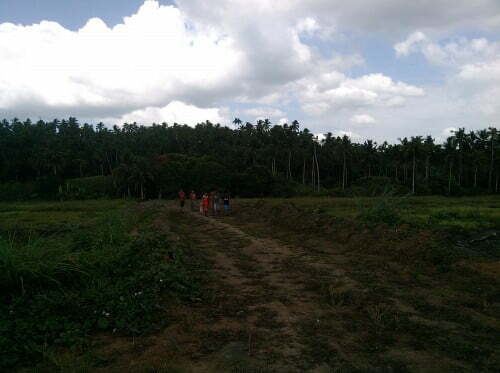 The below picture is where they will be building a road. As you probably figured out, it’s just left (towards downtown) of the previous picture. This last picture is just left of the road (even closer to downtown). I think that white fence is just that, someone’s white fence, not a business or anything. I hope this was able to give y’all some idea of the price of property here in Calbayog. Keep in mind that all the listed properties here are in an area that is in the process of being developed for housing and businesses. As stated, the new market is there already, along with the new bus depot. There are several smaller business, including a mini-mart, in the area. A Robinson Mall is suppose to be being built close by, but I really don’t see that anytime soon, if at all. There are rumors of a Sav-A-Lot being built just a bit further down from these properties (further away from downtown). I never head of this store, so it could be Save-A-Lot. Marlou told me about it, but he said, just as I did, it’s a rumor. Rumors run rampant around here so I don’t place a lot of stock in them.